The Superstar Package is a fantastic way to get set-up with the basics of a functioning and protected band. 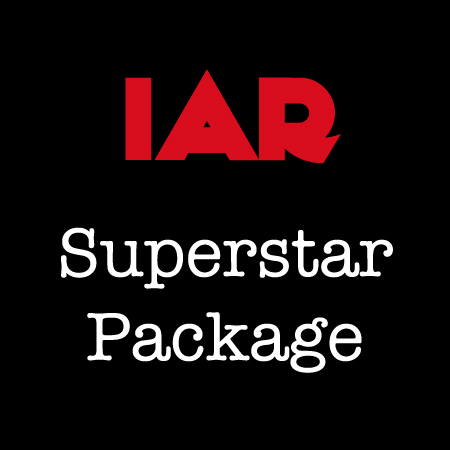 Ordering the Superstar Package groups the most essential items offered by Indie Artist Resource at a special price. Ordering this package is more cost effective than ordering each item individually. Who doesn’t like to save money?! 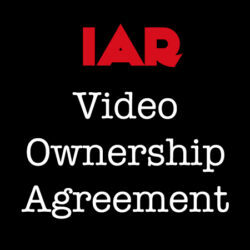 These template agreements are made available for self-help purposes. The availability of, or your download of use of these template agreements is not legal advice or the practice of law. There is no attorney-client relationship created between you and Indie Artist Resource, Erin M. Jacobson, Esq., or any other attorney or employee at Indie Artist Resource and the parties listed herein are not acting as your attorney (except under the “Consultation” part of the package as explained below or if you separately retain Erin M. Jacobson, Esq. to handle a specific legal matter for you). The Superstar Package is a fantastic way to get set-up with the basics of a functioning and protected band. 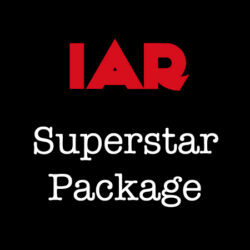 Ordering the Superstar Package groups the most essential items offered by Indie Artist Resource at a special price. Ordering this package is more cost effective than ordering each item individually. Who doesn’t like to save money?! These template agreements have been prepared by an attorney licensed to practice in the State of California for California residents and governed under California laws. The purpose of these template agreements are to anticipate the common problems that may occur in relation to the subject matters and situations contemplated by these template agreements, and address those issues in an attempt to avoid later disputes over those issues. It is impossible, however, to anticipate all issues that may occur, and these template agreements do not cover or purport to cover every issue that may be encountered. These templates are also general and drafted to address common problems, not problems specific to your situation. There may be other ways to handle your situation that you may consider. These templates (and Indie Artist Resource, www.indieartistresource.com, and Erin M. Jacobson, Esq.) do not purport to provide and are not providing you with legal advice or acting as your attorney. If you would like advice about the best practices for your situation, and/or for the terms of the agreement you seek, you should ask those questions in the Consultation portion of your package or consult with a lawyer licensed in your state and/or your tax advisor who can give advice directed specifically to the needs and issues of your situation. These template agreements are made available for self-help purposes. The availability of, or your download of use of these template agreements is not legal advice or the practice of law. There is no attorney-client relationship created between you and Indie Artist Resource, Erin M. Jacobson, Esq., or any other attorney or employee at Indie Artist Resource and the parties listed herein are not acting as your attorney (except under the “Consultation” part of the package as explained below or if you separately retain Erin M. Jacobson, Esq. to handle a specific legal matter for you). You should not rely on, act, or fail to act, upon this information without seeking the professional counsel of an attorney licensed in your state. 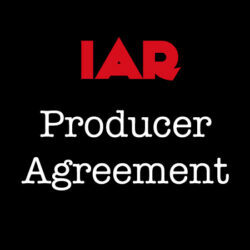 Consultations purchased through Indie Artist Resource separately from these template agreements or as part of a package are separate and apart from any template agreement and are not legal advice unless the Consultation actually takes place and you sign the Engagement Letter provided at the time the Consultation is purchased. 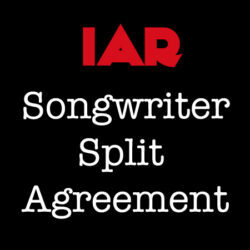 By using these template agreements, you understand and agree to these conditions and shall not hold Indie Artist Resource or Erin M. Jacobson, Esq. liable for any potential or actual liabilities or losses incurred from your use of these template agreements.